At it again!! 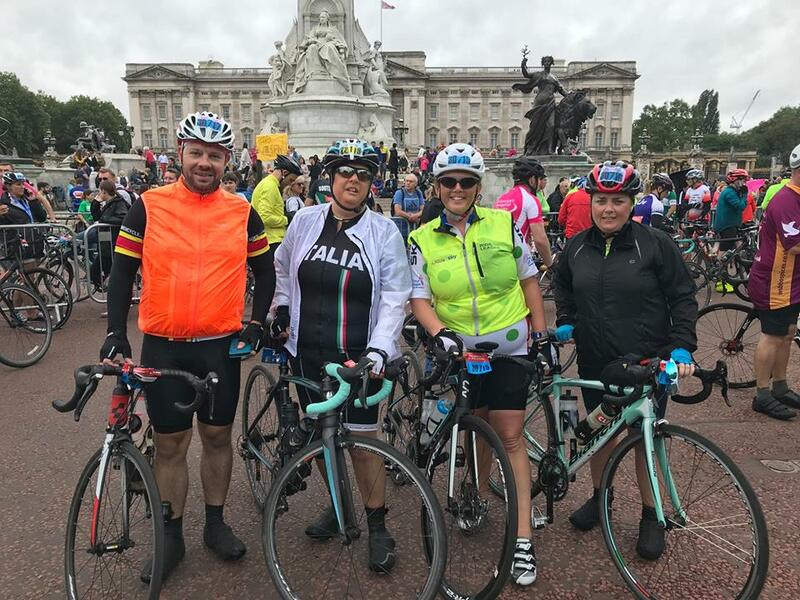 Catherine successfully completed Prudential Ride London 100 2018 – 100 miles through London and the Surrey Hills on Sunday. The weather was terrible all the way round the course but wind and rain was not enough to stop her and her cycling friends! They completed the course in about 7.5 hours and rolled up the Mall wet through but with smiles all round! If you would like to make a donation in light of their efforts, Hardmans is supporting Canterbury and East Kent Samaritans throughout 2018 – please feel free to pop in to the office and make a donation at reception, or telephone on 01304 373377, or message Catherine direct. All donations will be very gratefully received!